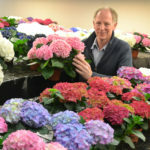 De Kwakel, 17 October 2018 – Hydrangea Breeders Association actively develops cut flower hydrangea for various climatological areas. 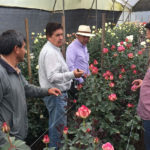 Apart from the moderate North-Western European climate zone for which varieties like Royal Kiss and Royal Benefit were introduced, HBA is specifically developing varieties for production areas around the Equator. 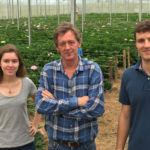 Due to the huge differences in climate the European varieties which need a cold period, are not suitable for production in the tropics, so specific genetics has been developed. Under local production circumstances our selections are tested and selected for suitability. 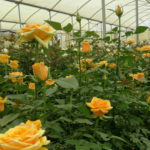 For this purpose a test location in Naivasha, Kenya was created in January 2018, and a second location in Rionegro, Colombia will be following in November this year. For Northern European producers a 2.300 m2 test location at Agriom in De Kwakel, the Netherlands, can be visited. Our current varieties as well as promising selections are presented to compare their performance. 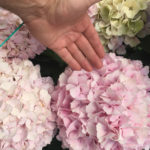 Also our test and selection location at Tom de Bruijn’s nursery in ’s-Gravenzande, the Netherlands, offers Hydrangea producers the opportunity to have a look inside the HBA kitchen. Interested? We are most happy to make an appointment with you.